Whether it was former President Barack Obama’s decision to stop the delivery of air defense systems from Russia because of the U.S.’ decision to launch a reset, or his decision to withdraw from his key commitments on what he had called the “red line” on use of chemical weapons in Syria, or his murky approach in regards to the security of the United States’ Asia-Pacific allies, we have constantly seen the U.S.’ lack of commitment in different parts of the world. This U.S.’ inconsideration to their allies continued during the Trump administration. Their decisions to withdraw from multilateral agreements and arrangements and to publicly criticize allies reached a very high point during this period. The disregard toward allies has become the dominant foreign policy attitude of the U.S. As seen in the crisis between Turkey and the U.S., the U.S. preferred to follow a unilateral path and became insensitive to the national security concerns of the allies. In the last few years in every panel in regards to relations between the U.S. and its allies, this issue has set the agenda of the meeting. Some allies have started to become nervous in dealings with the U.S. and other great powers due to unpredictability, some other allies have started to look for alternatives, whereas with other allies the U.S. has started to have serious instability in relations. As many have emphasized the most significant solution for the improvement of relations between the U.S. and its allies is an increase in channels, frequency and quality of communication. Especially summits between leaders of the countries have been indicated as the best way to resolve these impasses. However the announcement from the White House yesterday in regards to President Trump’s schedule this coming fall demonstrated that the U.S. still does not recognize this fact. On Saturday, White House spokesperson Sarah Huckabee Sanders announced that the president will not attend summits that will take place in Asia this fall. Instead, Vice President Mike Pence will represent the U.S. in these summits. The summits will include the Association of Southeast Asian Nations meeting, the East Asia Summit and the Asia-Pacific Economic Cooperation. 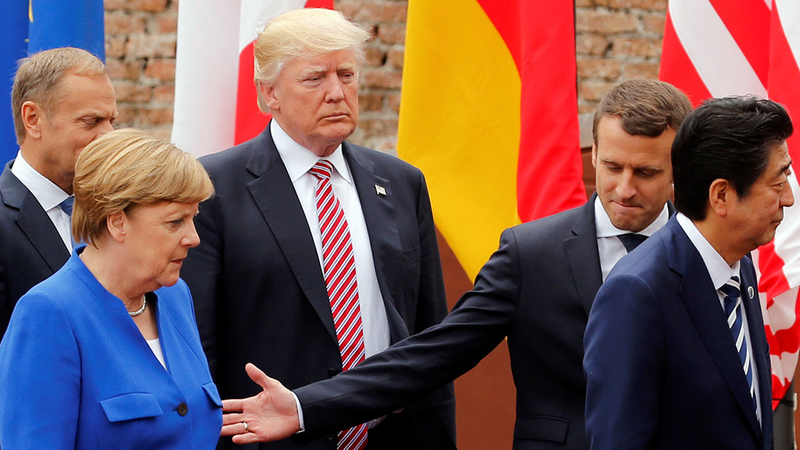 All of these summits normally entail both multilateral and bilateral negotiations and dialogue between the U.S. and its allies. While the U.S. allies in the region were expecting some signs of U.S. commitments and a change in the approach of the U.S. towards its allies, President Trump not only decided not to attend these summits but also adding insult to injury last week in his rally in Northern Carolina accused Japan for ripping the U.S. up. This happened after the fact that President Trump during his summit with Japanese premier Shinzo Abe told him that “he remembers Pearl Harbor.” Given the efforts that Shinzo Abe spent in order to build some ties with President Trump, the president’s treatment of him will definitely generate another form of anxiety among U.S. allies. The president’s decision not to attend the summits will probably cause major disappointment among U.S. allies in Asia. There are various significant issues and questions that need to be discussed with the U.S. president. The status of talks with North Korea in regards to its nuclear program is one of the unknowns at the current moment. Other than some tweets, U.S. allies in the region do not know the U.S. position in regards to the tension and territorial disputes in the South China Sea and East China Sea. After the withdrawal of the U.S from the Trans-Pacific Partnership (TPP), it is not clear what will be the position of the U.S. on the trade disputes. More significantly, given the tension in Chinese-U.S. relations, it is not entirely clear what will be the future of the most significant economic relations in the world. The trade wars that emerged between the U.S. and China are generating different concerns. In this critical juncture in history of politics in the region, it is difficult to understand this disregard of the U.S. and this failure to recognize concerns, questions and anxiety of U.S. allies in the region. President Trump’s decision to skip this meeting may be considered as a serious wake up call for the allies in the region. During the Obama administration, the U.S.’ lack of interest in the region following the Asia-pivot led some U.S. allies to approach China, and for some others to try to find other alternatives. The situation this time may lead to a more serious detachment of U.S. allies in the region from the U.S. alliance network. So far some U.S. agencies have tried to counterbalance the administration’s disregard for U.S. allies, such as in the case of the Qatar crisis, however the coherence and consistency of the administration’s tone may generate more long-term problems between the U.S. and its allies.